Their cheese sauce is addicting. 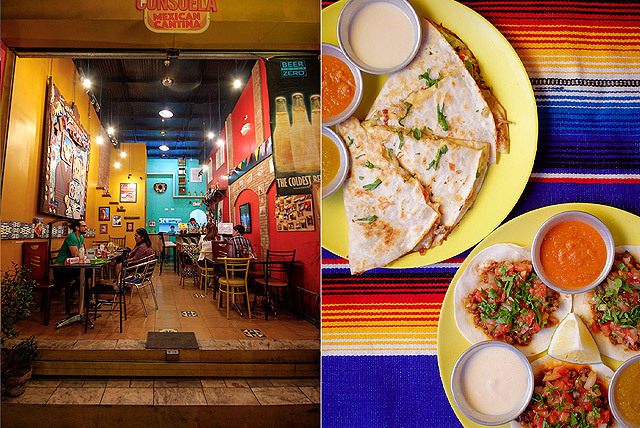 (SPOT.ph) Authentic is a word that seems to have lost its meaning with how casually it’s been thrown around, but it really is what comes to mind when one steps inside Consuela Mexican Cantina. 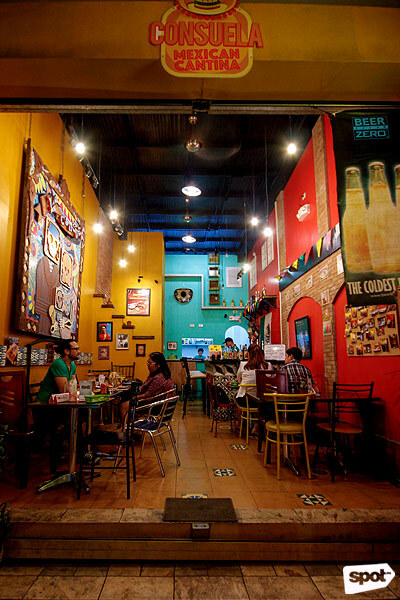 The hole-in-the-wall looks and feels like a real Mexican cantina, and owner Victor Sy put a lot of effort into capturing the right vibe. 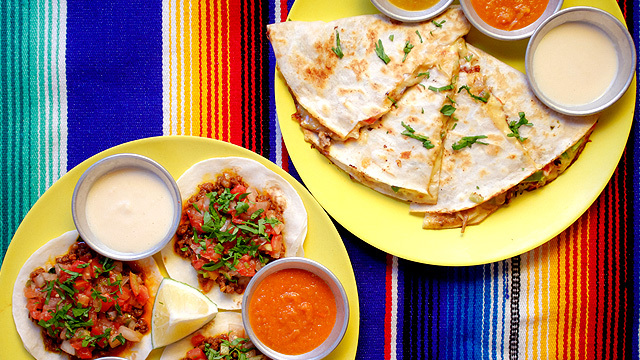 The restaurant is al-fresco, just like a small neighborhood cantina. The noise from the street streams inside, heard alongside Mariachi music and pop songs done Mexican-folk-music-style playing through the speakers. 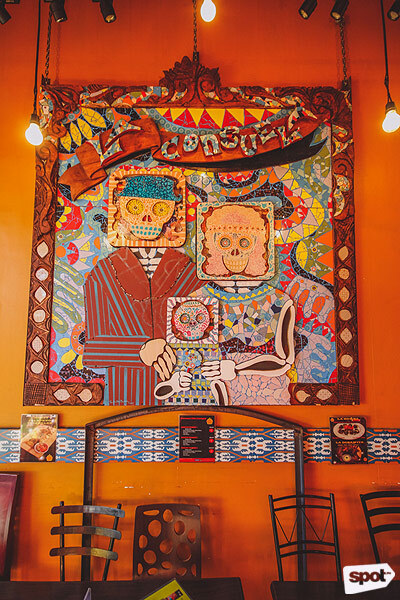 Colorful tiles, ponchos, a sombrero, and other décor are all shipped from Mexico (though Victor gamely shares that he just printed the photo of Frida Kahlo hanging on the wall), while Kabunyan de Guia, the son of Kidlat Tahimik, made the breathtaking Dias de los Muertos mixed media mural. 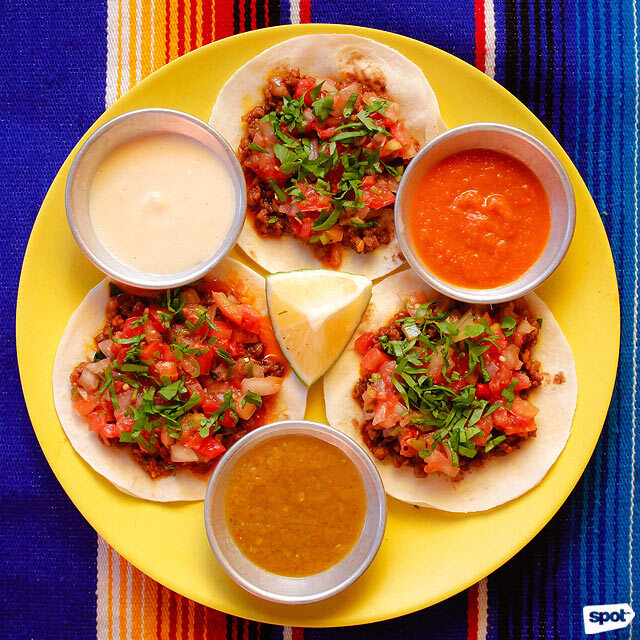 The menu is straightforward and while they don't claim that the dishes are authentic, the explosion of flavors are undoubtedly Mexican. 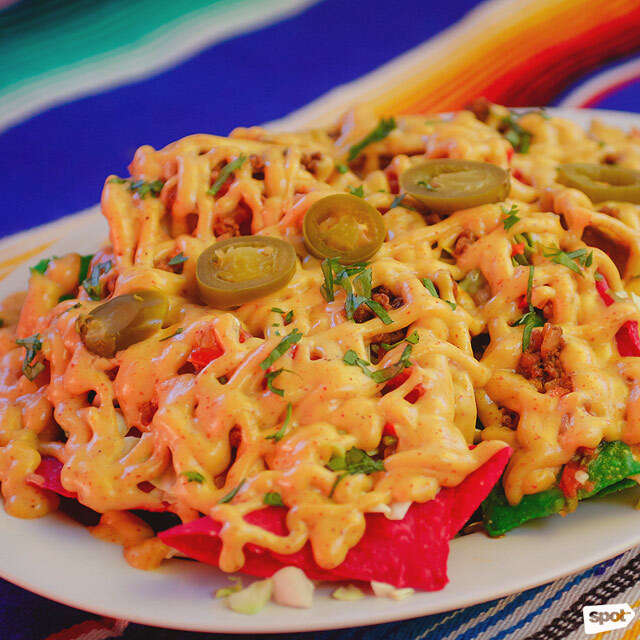 Start with Nachos (P160/half, P260/whole), which are fiery and overloaded with shredded cabbage, Mexican chorizo, and fresh pico de gallo. 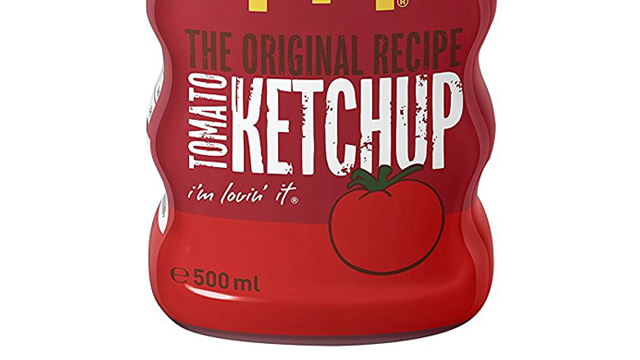 The cheese sauce is made in-house, with a unique tastiness that comes from the addition of mustard. 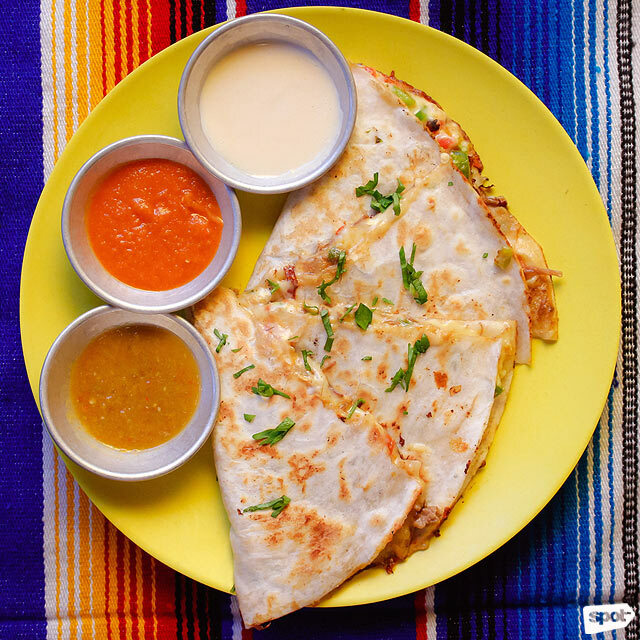 We guarantee the cheese sauce is addicting—you’ll be glad to find it in other menu items as well, like the Quesadillas, which can be ordered with four different kinds of protein: Suadero or Beef (P170), Carnitas or Pork (P150), Mexican Chorizo (P160), and Pollo or Chicken (P160). We tried the Mexican Chorizo Quesadilla, and the slightly sweet chorizo is the perfect complement to the flavorful cheese. You can also choose what protein to put in the Burrito (P150 to P190). The Carnitas or shredded pork is tender, with its distinctly Mexican seasoning shining through even with the rest of the stuffing. 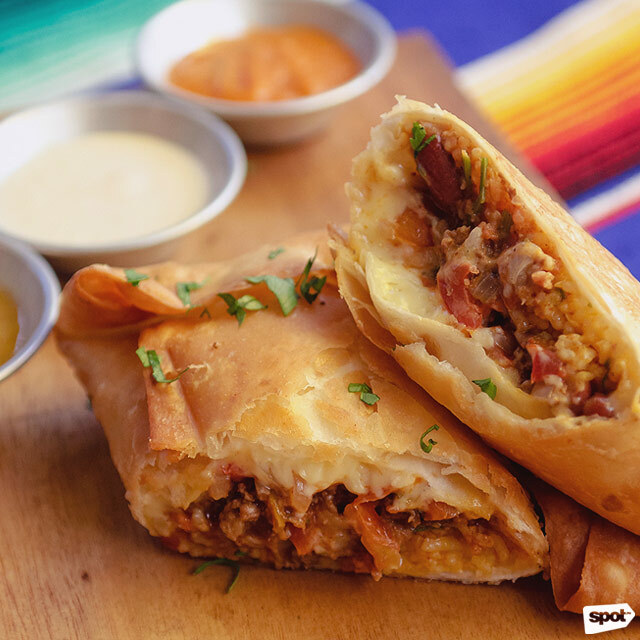 If you want to treat yourself, have the burrito deep-fried into a Chimichanga (P180 to P220). There is also no shortage of flavors—and heat—in the Taco (P150 to P190), with shredded cabbage, pico de gallo, chili tomato, garlic sauce, and your choice of protein piled high on top of a flour tortilla. Don’t forget to squeeze the lime on your taco for the zesty balance. 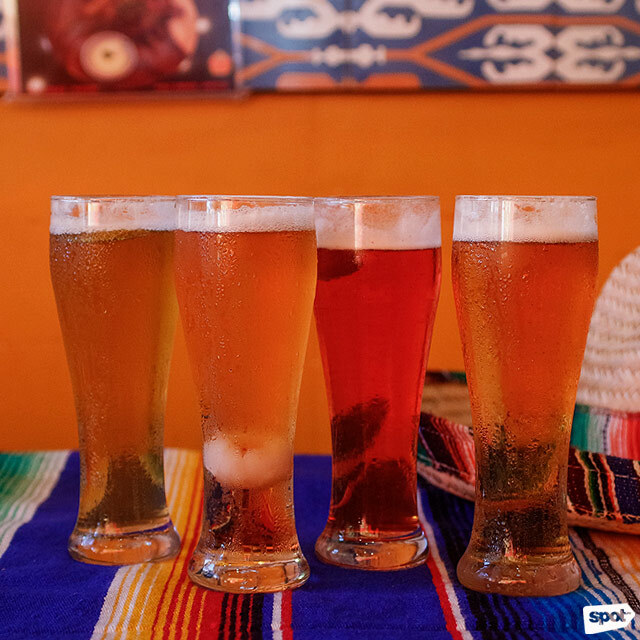 Bursting with flavor, Mexican food pairs well with beer, and here at Consuela, they give the drink a playful twist using real fruit. The Lychee has the familiar malty flavor of the beer, with the fresh lychee as a sweet afterthought. The Tamarind provides a stronger fruity flavor, the beer made more refreshing by the tartness of the fresh tamarind. Mexican fare has the tendency to leave you stuffed, but make room for dessert because you wouldn’t want to miss out on Consuela’s Taco Ice Cream (P180). Victor makes the ice cream in house, which is a vanilla-cinnamon ice cream that tastes exactly like churros. 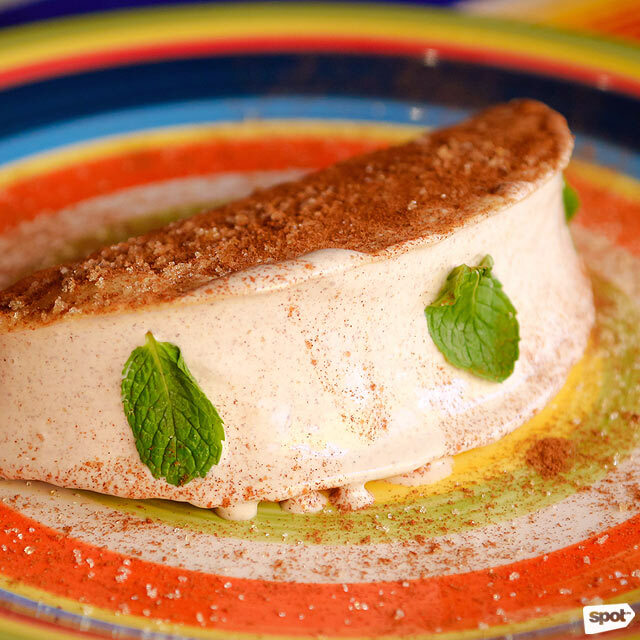 The ice cream is then sandwiched inside a warm fried tortilla which adds a nice crunch to the dessert. 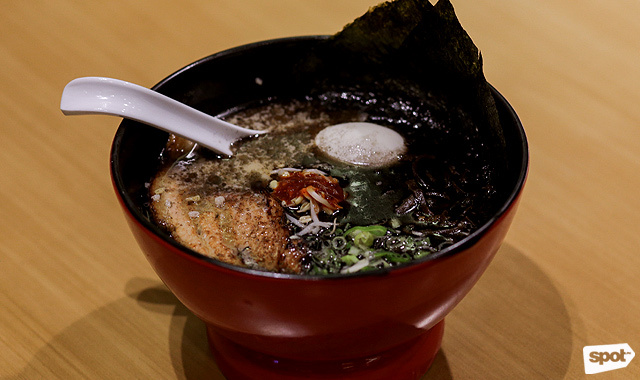 You’ll be clearing your plate in no time. As the place is small like the usual holes-in-the-wall, Consuela gets packed pretty quickly. And just like a neighborhood cantina in Mexico, there is no shortage of good food, good conversation, and good cheer to be had.